Algae have such a rich composition that they can replace the foods we eat on a daily basis. In addition, they take care of the skin and hair effectively, which is why there are various cosmetics created on the basis of algae. Find out the properties of hair care cosmetics with algae and which ones are worth reaching for. Algae are one of the first forms of life on Earth. There are many species of algae and new ones are constantly being discovered. Algae contain a lot of nutrients, which is why they have found a wide application in the catering industry, especially in the menu of the East. Due to the richness of active substances of algae, the cosmetics industry also uses them willingly. It is worth mentioning shampoos, which are used interchangeably with conditioners and seaweed powder. 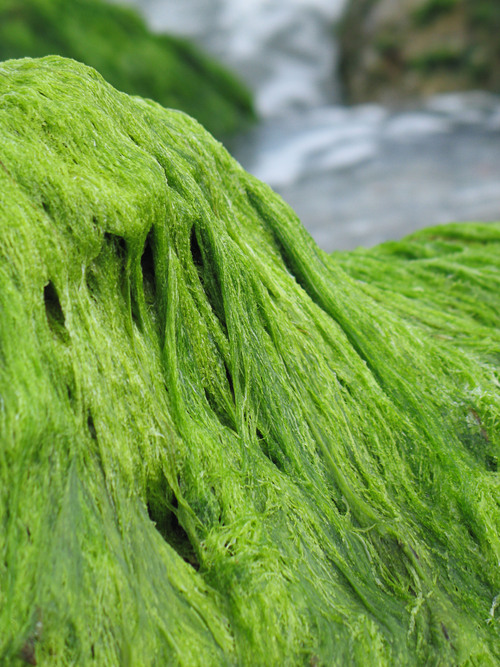 Algae are a popular ingredient in masks, rinse-free serums and scalp lotions, made for example, on the basis of water left from rinsing raw rice. In addition, they were used in the production of hair sprays and boosters for split ends. Cosmetics with algae are particularly popular in Asia. Asian girls use them as part of a hair care ritual that has accompanied them for centuries. Considering the Asian women’s hair condition, it’s worth following their example. Algae are a rich source of iron and calcium. The first one is to prevent brittleness and hair loss, and the latter strengthens its structure. In addition, algae provide proteins that, as the main building blocks of the hair, can supplement deficiencies along its entire length. Algae contain omega-3 acids with soothing properties especially beneficial for the scalp, and also anti-allergic and anti-inflammatory effects. Furthermore, the hyaluronic acid contained in algae moisturizes the hair, restores its elasticity and prevents frizziness. Hair care cosmetics with algae are eagerly reached by people who have a problem with oily scalp, because their supplement regulates the work of sebaceous glands and balances sebum secretion. What’s more, algae are famous for their antioxidant properties that help protect hair from the harmful effects of free radicals.